A report this week in the New England Journal of Medicine suggests that, whether you knew it or not, lots (really, lots) of your patients are/were/will be taking antibiotics.1 Patients might not consider these medications relevant to their rehabilitation, but there are concerns for rehabilitation professionals when these medications are prescribed. The authors reported on data from a huge database of prescribing information. The database accounts for 70% of all prescriptions written in the U.S. in 2010 and the authors projected what the prescribing patterns would look like for all of the prescriptions. Providers wrote 258 million prescriptions for antibiotics in 2010. That works out to 883 prescriptions for every 1000 people. We don’t know how many unique individuals this represents – perhaps there are some antibiotic-superusers out there, but it’s hard to argue that we’re not talking about lots of antibiotics. If you practice in the southern U.S. (Louisiana, Mississippi, Alabama, Arkansas, Tennessee, Kentucky), you’re working where prescription rates are the highest (936 prescriptions per 1000 people). Those of you out west are less likely to encounter patients to whom antibiotics have been prescribed (639 per 1000 people). 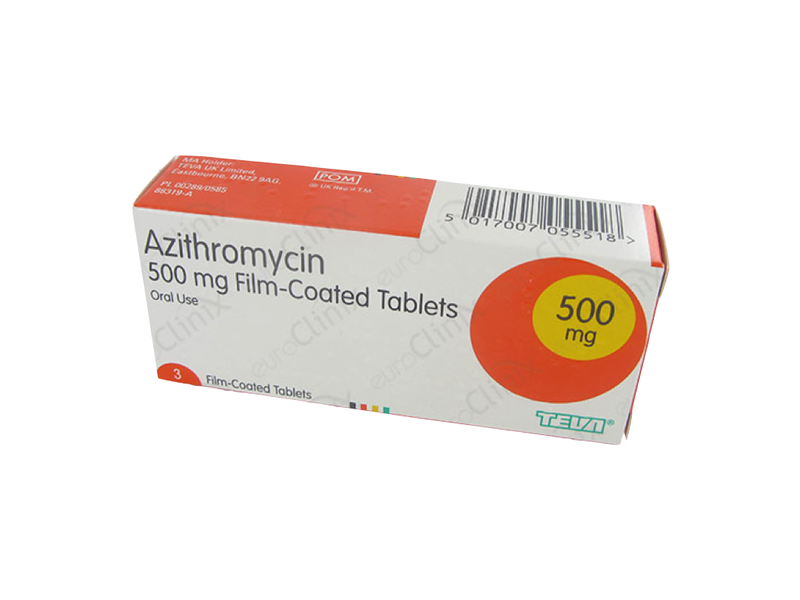 1. azithromycin (Zithromax®), a macrolide, to the tune of 51.5 million prescriptions. That’s a lot of barely legible handwriting. 2. amoxicillin, a pencillin and β-lactam, otherwise known in my house as “the pink medicine”, was a close second with 51.4 million prescriptions. 3. amoxicillin/clavulanate, otherwise known as Augmentin® tallied 21.5 million prescriptions. This drug combines the antibiotic with potassium clavulanate, an inhibitor of an enzyme that some bacteria produce rendering them at least partially resistant to drugs like amoxicillin. 4. ciprofloxacin, a quinolone, 20.4 million prescriptions. 5. cephalexin, more commonly known as Keflex®, a cephalosporin, 20.1 prescriptions. Why do these drugs matter to us? The most common adverse effects of antibiotics are gastro-intestinal or dermatologic in nature. While nausea, diarrhea, and abdominal discomfort GI upset may be important to your patient, the real impact they might have on your clinical decision making is minimal. Rashes and other dermatologic concerns are common reactions and may or may not represent true hypersensitivity to the medications. Given that we often observe the skin of the extremities or trunk or our patients, we may notice the development of a skin eruption before the patient does. If the patient has not yet reported any of these issues to his prescriber, he should be encouraged to do so ASAP. Some adverse reactions and forms of hypersensitivity are essentially benign and others, such as Stevens-Johnson syndrome and toxic epidermal necrolysis, though rare, can be fatal. Additionally, I hope it’s obvious that we should certainly not be telling patients to discontinue medications. Whenever your patient returns from an encounter with a prescribing provider, you should re-visit that patient’s medications. Seemingly benign additions, such as these antibiotics, can have an impact on rehabilitation decision making. For example, cephalexin can increase the effects of warfarin, a common anti-coagulant, making bleeding more likely. The bottom line in rehabilitation – antibiotics are frequently prescribed, but might not be considered significant by patients and therefore not disclosed without careful questioning. Whenever a patient returns from a physician encounter, an inquiry should be made into any medication changes. GI symptoms, rashes and other skin eruptions, and any tendon-related pain or swelling during or within the 6 months following fluoroquinolone exposure, should be reported to the prescribing provider. Lots of your patients take antibiotics and antibiotics do things to your patients besides treat their bacterial infection. Keep your eyes, and mind, open. 1 Hicks DO, Taylor TH, Hunkler RJ. US outpatient antibiotic prescribing, 2010. NEJM 2013;368:1461-1462. 2 Ganske CM, Horning KK. Levofloxacin-induced tendinopathy of the hip. Ann Pharmacother. 2012;46:e13. 3 Childs SG. Pathogenesis of tendon rupture secondary to fluoroquinolone therapy. Orthop Nurs. 2007;26:175-182. 4 Khaliq Y, Zhanel GG. Fluoroquinolone-associated tendinopathy: a critical review of the literature. Clin Infect Dis. 2003;36:1404-1410. 5 1. Hall MM, Finnoff JT, Smith J. Musculoskeletal complications of fluoroquinolones: guidelines and precautions for usage in the athletic population. PM R. 2011;3:132-142. This entry was posted in antibiotics, general and tagged fluoroquinolones, macrolides, penicillins, quinolones, tendinopathy, tendon rupture. Bookmark the permalink.